Lübben is a town of 14,000 people, capital of the Dahme-Spreewald district in the Lower Lusatia region of Brandenburg, Germany.Administrative structureDistricts of the town are: Lübben Stadt (Lower Sorbian: Lubin město) Hartmannsdorf Steinkirchen of Lower Lusatia. Visiting Senftenberger See and Spreewaldfahrt, Familie Goertz will get you outdoors. For other places to visit, ratings, photos, and more tourist information, use the Lubben vacation planner. Ottawa, Canada to Lubben is an approximately 19-hour flight. You'll lose 6 hours traveling from Ottawa to Lubben due to the time zone difference. Prepare for a bit warmer weather when traveling from Ottawa in March: high temperatures in Lubben hover around 9°C and lows are around 0°C. You will leave for Berlin on the 17th (Fri). Get outdoors at Pfaueninsel and Strandbad Tegeler See. Get some historical perspective at East Side Gallery and Gedenkstätte Berlin-Hohenschönhausen. Change things up with a short trip to Memorial and Museum Sachsenhausen in Oranienburg (about 44 minutes away). Spend the 23rd (Thu) exploring the collection at Museum Island. 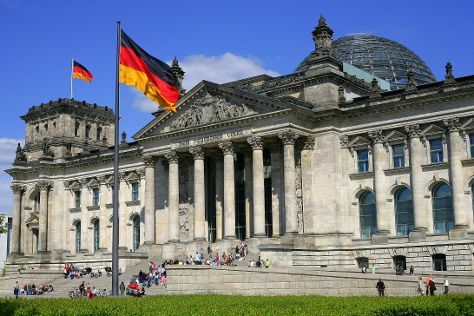 There's lots more to do: take a stroll through Potsdamer Platz, ponder the world of politics at Reichstag Building, examine the collection at Pergamonmuseum, and steep yourself in history at Charlottenburg Palace. To see traveler tips, more things to do, ratings, and other tourist information, read our Berlin vacation builder. Traveling by car from Lubben to Berlin takes 1.5 hours. Expect a daytime high around 9°C in March, and nighttime lows around 1°C. On the 31st (Fri), wrap the sightseeing up by early afternoon so you can travel back home.